We are pleased to offer two fabulous villas for sale located 4 km from Palau in the placid rural hamlet known as Lu Lignamu by the locals, just off the SS125 road. Lu Lignamu raises on a panoramic verdant hill surrounded by old farmhouses and newly built villas developed in keeping with the traditional style of the ancient stazzu, Gallura’s tyical farm. Both villas share the same architecture, finishes, and occupy, respectively, 17,000 m2 14,000 m2 private parks consisting of ancient holm oak, junipers trees and imposing granite outcrops. Top quality materials were meticulously employed by skilled labour and artisans to embellish these state-of-the-art estates. 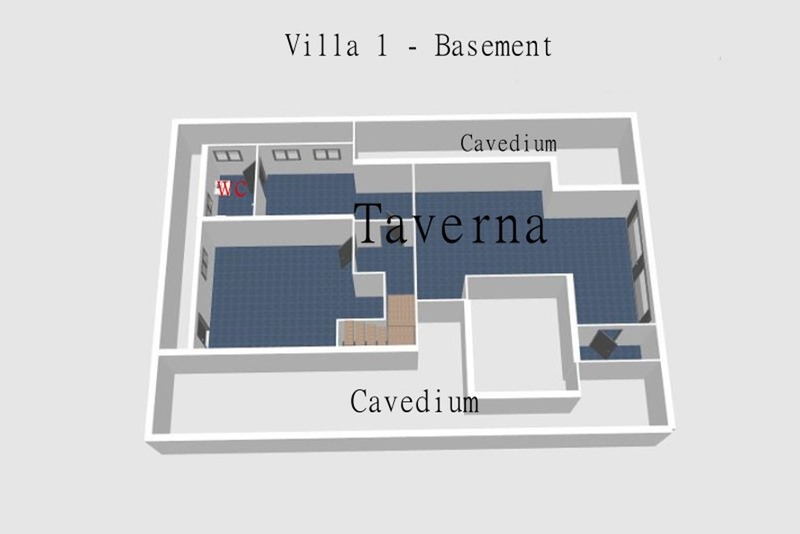 The villa n° 1 (see the provided floor plan) boast an expansive living area developed on two levels, ground (152 m2) and basement floor (145 m2), interconnected by an internal staircase. It consist of a spacious living area, kitchen, 3 bedrooms and 4 bathroom, two large verandas overlooking a private pool and a barbecue area. From the property you can enjoy breath-taking vistas on the gulf as well as on the surrounding landscape made of rolling meadows, distinctive granite and the fragrant flora. 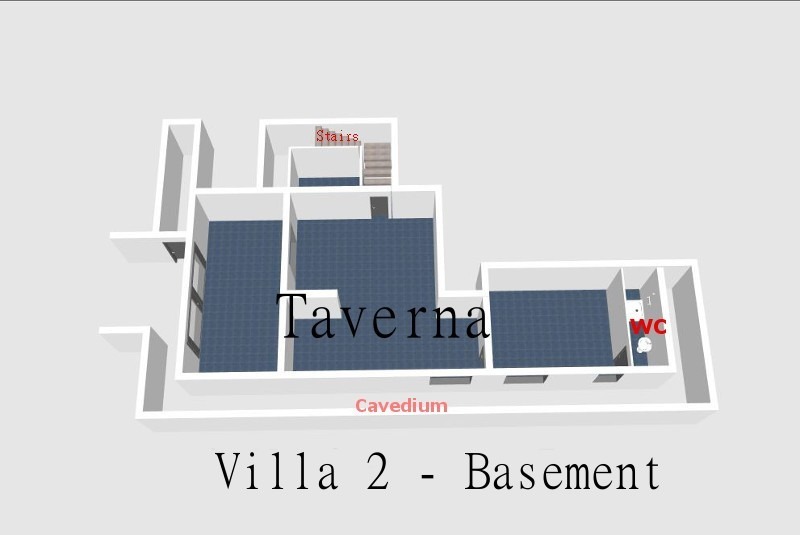 The semi-covered basement, or taverna, an area where Sardinians usually entertain on a long table with friends and family in attendance, opens onto a bright and airy living space, which has the potential to be converted into a separate home. There is also a 31 m2 covered parking space for 2 cars. 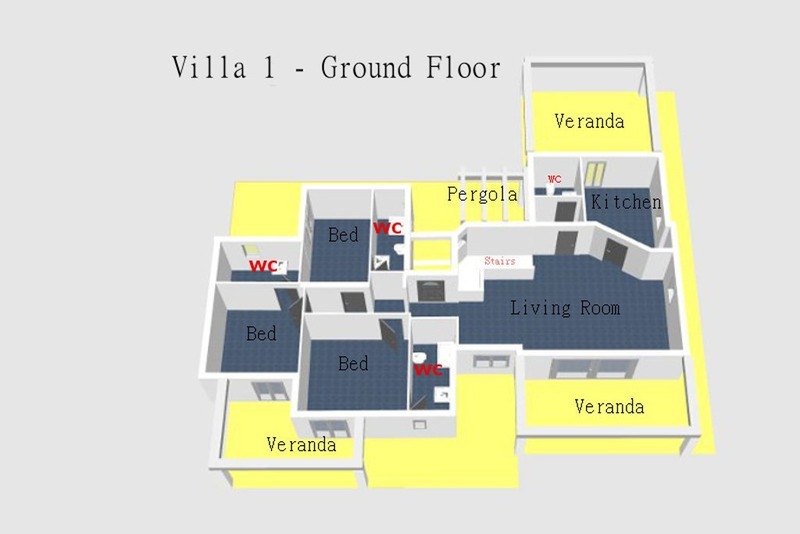 The villa n ° 2 consist of 3 bedrooms and 4 bathrooms, a large living room, embellished with a distinctive fireplace, and a kitchen. The imposing veranda, beautifully clad with granite stone, provides the ideal place to enjoy al-fresco meals while contemplating wonderful sea view. Outside there is characteristic barbecue area, a swimming pool with similarly stunning views, and a covered parking space (31 m2) for two large cars. 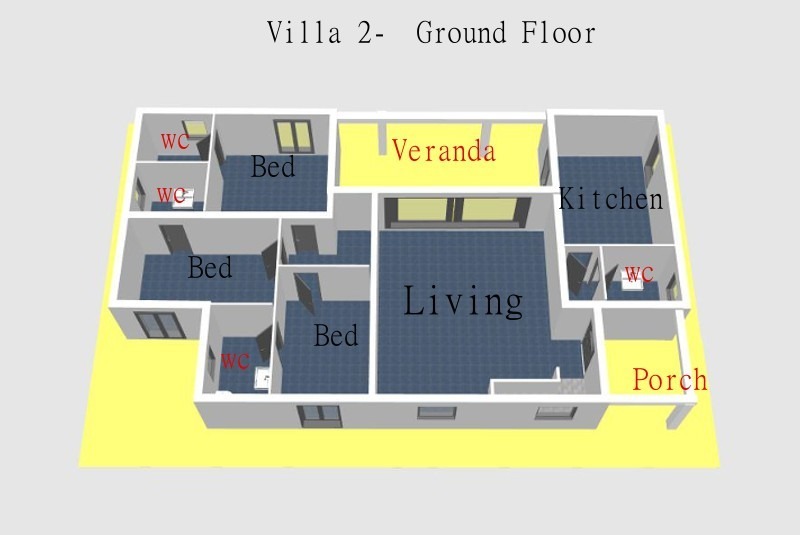 The lower floor (131 m2) is a large are that can be also modified according the buyer’s needs. Both villas have equipped with central heating (gas-powered, intercom,video system, electric gate, independent water supply (wells and tanks), outdoor lighting and irrigation systems.